Phinom AG is a Swiss-based company funded by a private investor. It provides trading technology services to private banks and high net worth individuals. The Phinom platform brings the latest advances of trading technology and addresses the specific needs of private banks and traders that still have underdeveloped solutions and rely mostly on traditional trading by phone. The customer sought ways to increase return on their capital investments and bring more automation to their daily routine, as they sold options to banks via telephone and kept accounts of all operations, investments, and capitals in Excel spreadsheets. Managing capital in such an old-fashioned way limits the potential profits and quickly gets out of hand as the number of client positions grows, impeding the potential and profits for both customer and bank. 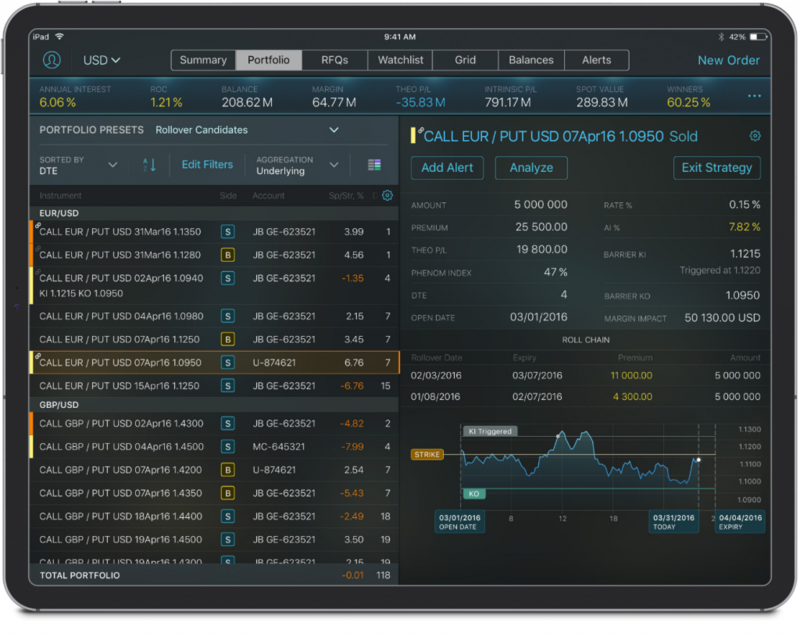 The customer needed trading software where he could also manually enter positions created at third-party trading venues outside of the Phinom system. The solution also needed to be available on all platforms and appropriate for any age group, so Devexperts designed the user experience and “the visual language” of the platform from scratch for easy comprehension and usability. The iPhone application provides simplified views for current market status, different portfolio views and trading notifications allowing the customers to be in control of their accounts anywhere, anytime. Margin simulation: custom pluggable margin calculation algorithms for various asset classes and margin calculation techniques of different banks and regulators. Phinom can create risk profiles based on volatility feeds obtained from trading venues to build strategies. 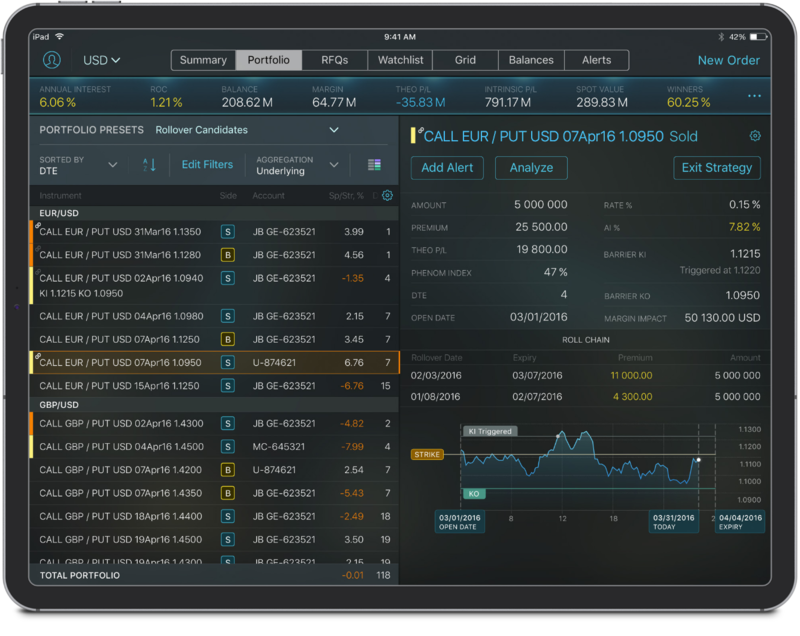 Its extended reporting reflects the platform’s approach to trading. 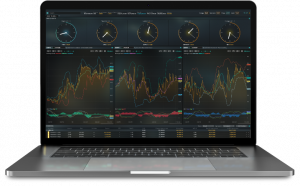 All Phinom client applications also have server-stored presets for filtering and sorting rules with real-time synchronization on all platforms, allowing for effective collaboration between investors, money managers and banks on portfolio slicing and investment strategies analysis via shared widgets and view presets. Phinom was named the Gold winner in the Digital – FinTech category at the 2018 Berlin Design Awards, held by DRIVENxDESIGN, a global community of designers.